Jose Luis Rodriguez Zapatero, who mediated the dialogue between the Venezuelan goverment and the opposition, reaffirmed his trust in the Venezuelan electoral system. 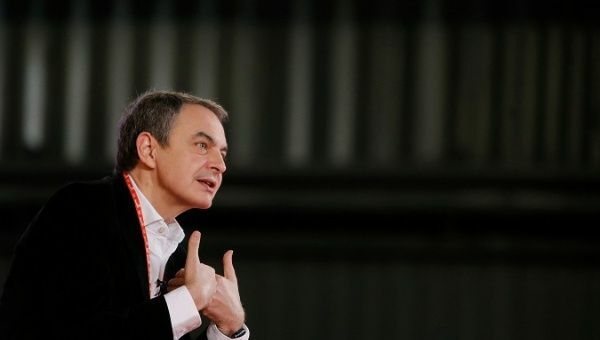 April 10 (teleSUR) Former Spanish Prime Minister Jose Luis Rodriguez Zapatero said he will be one of the observers in the May 20 presidential elections in Venezuela, which he hopes will be carried out peacefully. Zapatero was interviewed by the Venezuelan broadcaster Venevision during his visit to Caracas last week and confirmed his trust in the electoral system. “I’ll make sure that the May 20 electoral process meets the basic requirements in a democracy, because I wouldn’t be taking part in this task otherwise. We will carry out an election, which a fraction of the opposition doesn’t agree with,” said Zapatero, adding that the elections will take place and will do so in peace. 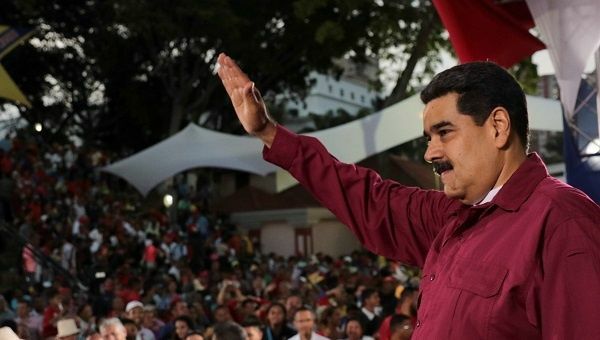 He led the dialogue between the Nicolas Maduro administration and the opposition for about two years now, hoping to reach an agreement between the country’s biggest political forces. The former Spanish prime minister assured he is mostly concerned about reaching consensus, while avoiding to be interventionist in any away or praising any of the candidates or parties. He also reaffirmed his duty as a mediator, and not an active political actor supporting one of the factions. “I came here to help, not to intervene. I don’t come to point at someone or this country’s flaws or those of any leader. No! My duty is to reach consensus,” said Zapatero. Zapatero was one of the mediators in the dialogue attempts hosted in Santo Domingo, the capital of Republica Dominicana, in which the opposition failed to sign the final agreement reached with the Venezuelan government. During the Monday interview, Zapatero said that Julio Borges, head of the opposition First Justice party and one of the leaders of the Democratic Unity Roundtable (MUD) coalition of opposition parties, was the main obstacle for the agreement. “Julio Borges, was the one that made it more difficult at the time. He must have his reasons and I respect that, but he knows we were already there, we were at its peak,” said Zapatero, who also regretted the last minute withdrawal by the opposition under pressure from Washington. But Borges didn’t miss the opportunity to answer Zapatero saying he was actually “proud” of his decision. “Former Prime Minister Zapatero, I feel very proud of the decision I took in the Dominican Republic, because an electoral process with barred political prisoners, banned parties, [even because of] the National Electoral Council itself, and no humanitarian channel, was a treason to Venezuela that I wasn’t going to avail,” Borges on his Twitter account Monday night. But despite criticism from the Venezuelan opposition, Zapatero reaffirmed his commitment to the Venezuelan people and his confidence in the electoral system. “It’s easy to talk when you’re not involved. A lot of people ask me why am I still part of this, and I answer: because I have confidence in Venezuela,” said Zapatero.